Mexico City is a place of rich history, culture and tradition. With more than 22 million inhabitants, it is one of the wealthiest and most influential social, economic and cultural centers in Latin America. However, it is also a city in crisis. The breakdown of the family, widespread corruption, big-city crime, and rampant poverty all cry out for solutions that only the gospel can offer. Additionally, even though the evangelical church is growing, it is struggling to produce genuine maturity, committed disciples capable of fully embracing the mission of Jesus and bringing gospel transformation to every sphere of urban life: personal, family, business, church, community, social issues, the arts, and on and on. For a personal look at life in Mexico City, check out Naomi Smith’s blog or Samantha Loesch’s blog. The Mexico City Team is committed to working with Christ-centered churches and organizations to help visibly transform individuals, families and communities in Mexico City through the power of the gospel. By multiplying churches and gospel communities, developing leaders, discipling believers, meeting holistic needs, and forming strategic partnerships, ReachGlobal hopes to saturate Mexico City with the transformative power of the gospel. In the midst of the spiritual, political and social challenges of this urban jungle, the Mexico City Team is witnessing the beginning of a new day. God is working in rich and powerful ways, moving in the hearts of Mexican men and women and igniting a vision for multiplying healthy churches among all people. ReachGlobal in Mexico: ‘A New Day’ from EFCA ReachGlobal on Vimeo. 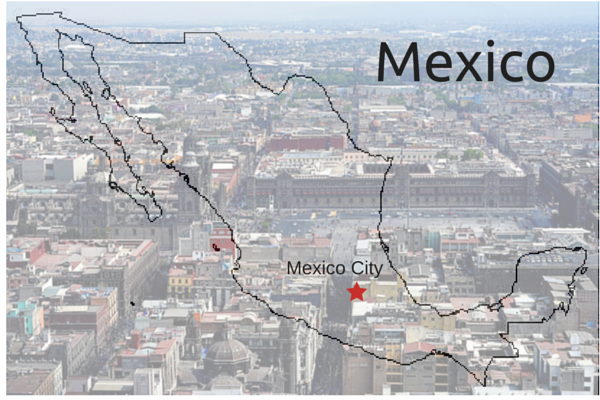 For more information on Mexico City, contact Joshua Smith, the Mexico City Team Leader.